On 6 April 2018, I presented a poster on my research entitled “­­The Varieties of Populism in Southeast Asia: Comparing the Electoral Victories of Duterte and Widodo” at the annual Midwestern Political Science Association (MPSA) conference in Chicago. 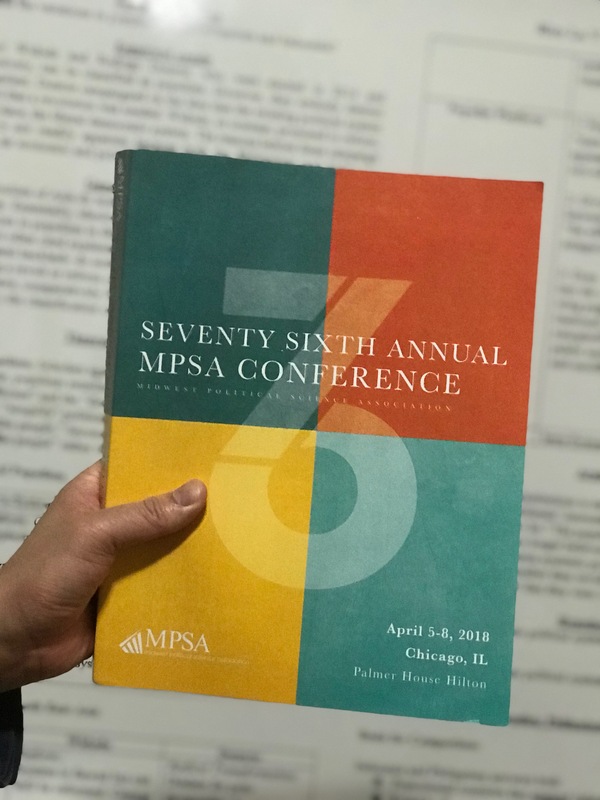 MPSA is a four-day academic conference, and it is one of the largest political science conferences in the world. The poster presentation was based on a paper that I wrote for my Comparative Political Analysis class under Dr. Ida Bastiaens. 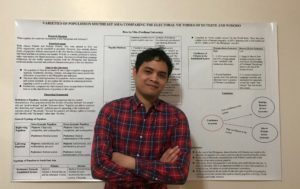 Enrico presented his research on Southeast Asian Populism. In my paper, I account for the differences in the populist practices of Joko Widodo of Indonesia and Rodrigo Duterte of the Philippines. I argue that the level of confidence that voters have in the established democratic system is linked with the kind of populism that will emerge. An anti -establishment populist such as Duterte is more likely to succeed if citizens have become disillusioned with the system. Conversely, a relatively reformist populist such as Widodo is more likely to be elected if there is enough trust in the system. This paper addresses two gaps in the literature on populism. First, the populists of Asia do not neatly fit into the right-wing/left-wing populist typology. Second, most often cited explanations for populism– socio-economic inequality and cultural backlash– do not explain the variation in campaign promises regarding a revolt or reform of the system. Enrico presented at the 76th Annual MPSA Conference. This conference contributed in three ways to my professional development. First, I hope to eventually publish this study in an academic journal. The feedback I received will be of immense value as I prepare this study for publication. Second, I observed and interacted with prominent political scientists from around the world. I was therefore able to attend insightful presentations, understand recent developments in the field, and expand my network. Lastly, the experience of preparing for and delivering a presentation at a high-level conference will be invaluable in the future. Attending this conference so early on in my academic career will certainly pay dividends in the long-run. I was honored to represent the FordhamInternational Political Economy and Development Program in the conference. 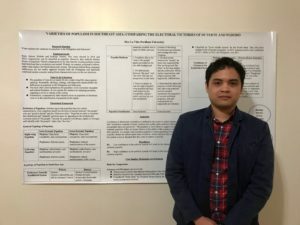 Enrico stands with the poster he presented in Chicago.